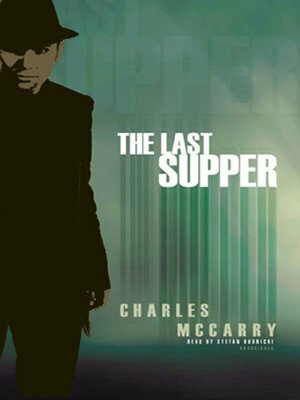 Charles McCarry has been called the best American espionage writer who ever lived. Now, with the re-release of his classic Paul Christopher series, comes The Last Supper, a tour-de-force that traces the evolution of the OSS and the CIA from the aftermath of World War I through World War II, Vietnam, and the Cold War. To Paul Christopher, the world of espionage had become a region of the mad, in which men and women lived without conviction and were compelled by a craving for conspiracy. But now, he has to find the “mole” in the Outfit and demand justice from enemies, past and present. As he follows the twisting path of this secret American intelligence group, he discovers a trail of betrayal and violence that leads backward to the horrors of the Nazi era and plunges forward beyond the Vietnam War’s labyrinth of lies.